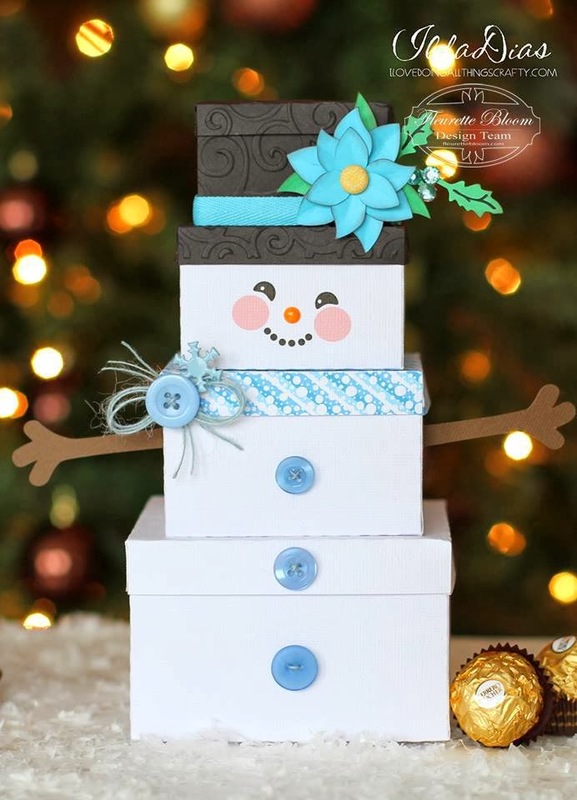 Today I have the cutest Snowman gift box to share with you. 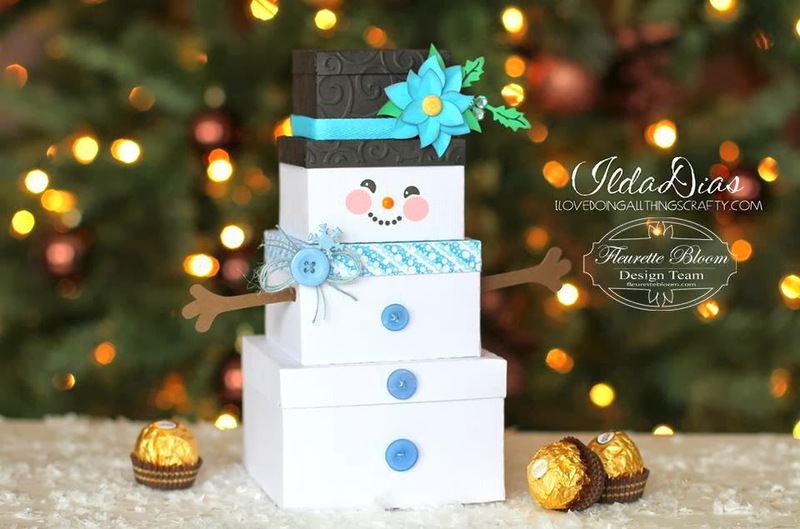 The files all come from Fleurette Bloom Designs. This project was all cut and created on the Silhouette Cameo using SSDE. Is that not the most adorable face? Those cheeks look so pinch-able! This box is perfect for holding a lot of great little surprises. 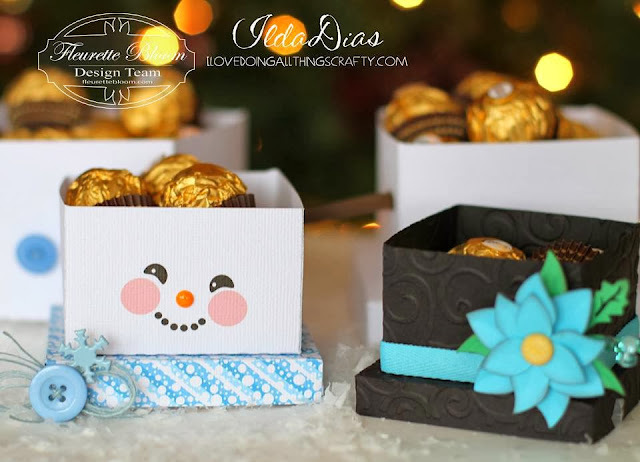 Also, would make a great box for a Winter Birthday or just to cheer someone up... that face would make anyone smile and melt their heart! When opened all up, it kinda looks like the snowman is all melting... Awww :( poor thing, LOL! Here he is again... sharing HUGS with you all! This is soooo super cute! Absolutely ADORABLE!! 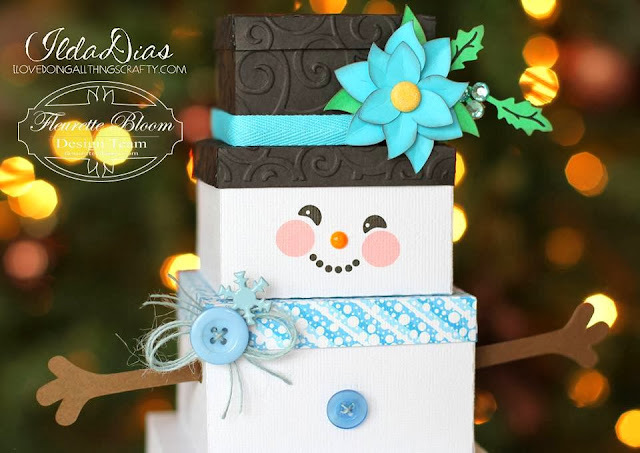 The face is totally pinchable :) The embossing is gorgeous and really adds such great texture!! LOVE this:) Couldn't be cuter-thanks for sharing! Oh my goodness, this is so cute! I love all of the details, and his face is perfect! Thanks for joining us at Silhouette Challenges! Christmas Cake a la SVG Cuts - Guest Post!